With this week’s Official Albums Chart, Ed Sheeran was able to set a new record. He became the first artist in UK chart history who has had three different albums enjoy an entire year inside the Top 10. Ed arrived on the music landscape in 2011 and since then, he has proved himself as a singer who possesses the power to stay in the charts. The latest album of the singer-songwriter, ÷, currently has the 2nd spot on this week’s chart and this is its 52nd week in the Top 10. Ed released his debut album called ‘+’ in 2011 and it has spent about 56 weeks in the Top 10. As far as his second album called X is concerned, which entered the folds once against at Number 10 today, it has also enjoyed about 98 weeks in the Top 10. Before Ed made history with this achievement, the only other acts to have more than one album have a whole year in the Top 10 were Simon & Garfunkel and The Beatles. The former managed this feat with their Bridge Over Troubled Water and their Greatest Hits collection whereas the latter got the honor due to Sgt. Pepper’s Lonely Hearts Club Band and Please Please Me. 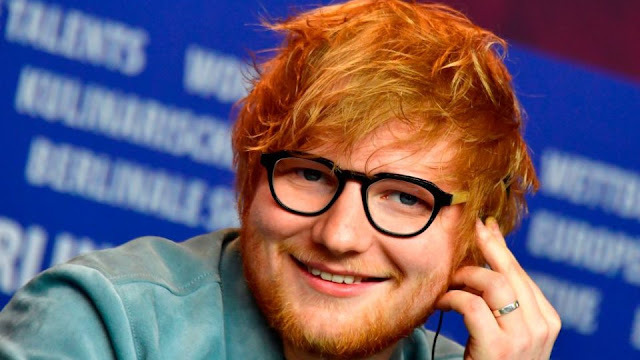 This is not the first record for Ed Sheeran. He has made the history books before as well as his single, Shape of You, earned the title of being the most streamed song in the UK. Also, with ÷, Ed was able to make a record of the fastest-selling album ever by a male solo artist. The first spot on the Officials Albums chart has been taken by The Greatest Showman’s Motion Picture Cast Recording for eight weeks straight whereas the number 3 sport has been claimed by Dua Lipa with her self-titled album. Her debut album has matched the peak it achieved last week after The BRITs. The number 4 spot this week has been taken up by Human from Rag’n’Bone Man whereas Stormzy, the Album of the Year winner continues to experience the BRITs uplift as he took the fifth spot with Gang Signs & Prayer. Last week, the debut album of the grime star achieved BPI-certified Platinum status. For Number 6, the former chart-topper from Sam Smith, The Thrill of it All rebounded five places and Pete Tong’s Ibiza Classics hit a new peak of number 11 after rocketing 52 positions.